Welcome to the 21st century, where the low-fat diet is slowly but definitely on its way out to make room for a higher fat, lower carbohydrate diet. For decades we have been following the faulty advice to reduce our fat intake to a bare minimum while increasing the amount of sugar in everything. Even a well-known brand of packaged macaroni and cheese contains added sugar, leaving us wondering why noodles and cheese might possibly need to be sweetened. Fat is a macronutrient with many benefits, one of which is the absorption of fat-soluble vitamins A, D, E and K. It is also a building block of every cell membrane in the body. It provides energy, slows the absorption of other nutrients (so you feel full longer after a meal) and is required for healthy liver function. Plus, let’s face it, fat makes food taste better. Also, did you know that the human brain is more than 50 percent fat? The brain requires fats — and especially essential fatty acids — for perfect health. The body doesn’t synthesize essential fatty acids so it needs to obtain them from a healthy diet. 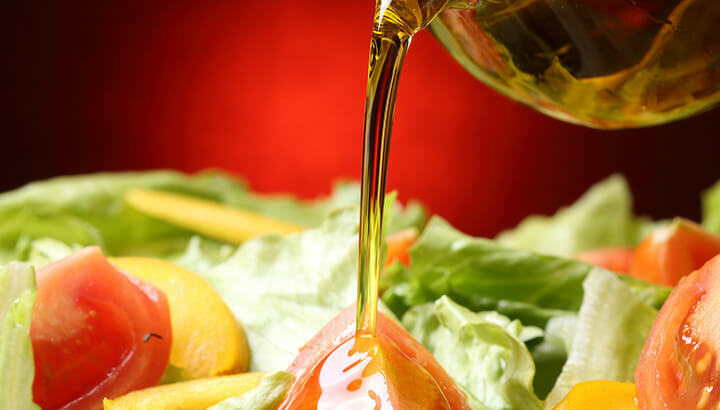 Olive oil is a key part of the Mediterranean diet for health and longevity. It is no secret that Southern Europeans who eat a more Mediterranean Diet, consisting of vegetables, fruits, lots of fish and plenty of olive oil, have a higher life expectancy with fewer diseases. An average, Italians and Spaniards consume about 13 liters of olive oil per person per year. While the entire diet does play a big role in how healthy people are, it seems the use of extra virgin olive oil is the major contributing factor to longevity and health. In a study published in 2013, researchers followed two groups of people for five years. One group ate a higher fat Mediterranean diet while the other group followed a low-fat diet. The higher fat group had a much lower incidence of heart disease, diabetes and better success with weight loss. The high-grade extra virgin olive oil contains around 30 polyphenols that act as antioxidants and reduce inflammation in the body. The monounsaturated fatty acids in extra virgin olive oil help increase HDL (“good”) cholesterol while decreasing LDL (“bad”) cholesterol. Plus, the additional antioxidants have been shown to reduce the risk of heart disease. Our European neighbors have known for many centuries of the many benefits of olive oil — they use it inside the body and out! On the skin, they use it as an exfoliant mixed into a sugar scrub or as a moisturizer. But you don’t have to smear olive oil all over you; drinking it will provide known anti-aging compounds, like antioxidants and vitamin E.
Olive oil can help with weight loss by keeping you fuller for longer. In the Mediterranean, many people start their day with a quarter cup of olive oil. The oleic acid in olive oil has a satiating effect. As mentioned above, it also slows the absorption of other nutrients, so you’ll feel full longer and won’t need to reach for that mid-morning sugary snack. 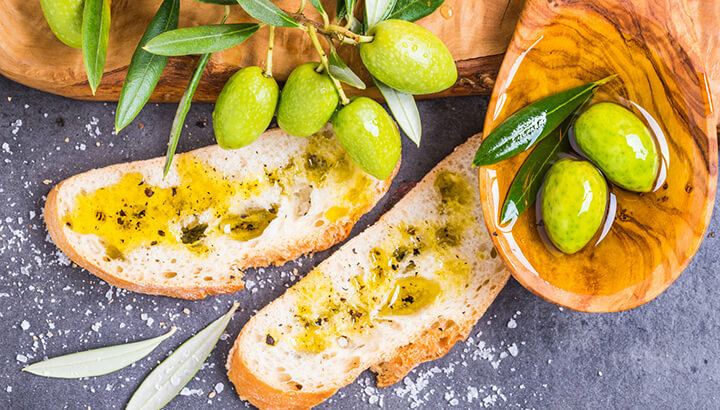 While the calories in olive oil may be high, the overall consumption of calories throughout the day will drop when you’re just not that hungry. Drinking olive oil can help increase the production of pancreatic juices and bile (which, incidentally, gives poop its brown color). With oil, the risk of gallstones decreases and bile is important for the breakdown of fats so they can be absorbed into the intestinal wall. The polyphenols in extra virgin olive oil act as antioxidants to rid the body of free radicals that would otherwise damage cells, or even lead to cancer. A study found that drinking olive oil inhibited colon cancer at various stages of the disease. So why not use it to fend off cancer to begin with? This is not to say that you should skip those recommended colonoscopies after age 50, but go ahead and add olive oil to your daily regimen as a preventative measure. A shot of olive oil can help balance blood sugar levels naturally. Olive oil has the ability to keep blood sugar levels low. In one study, blood sugar levels stayed lower on those who ate their meal with olive oil, compared to a group of people eating a meal made with corn oil. This makes sense since corn is a starch and has the ability to raise blood sugar levels much more than olives. With all this talk of the great benefits of olive oil, let’s talk about how to take it. We know, of course, that it may be a bit difficult to start your day with an entire shot of olive oil on an empty stomach first thing in the morning. In fact, if oil is consumed in large amounts, it may actually upset the stomach that is not used to it. Here are a couple more ways to go about it. First, start with a tablespoon and increase the amount over time. Another option is to mix olive oil in a blender with a cup of warm water and the juice of a lemon. It makes it much more palatable and the lemon juice will help with the easier digestion of the oil. Plus, lemon juice has been linked to improved liver function. A healthy liver produces more bile, which in turn is needed for the proper breakdown of fats (and oils) in the small intestine. Cold pressed extra virgin olive oil has many benefits when used properly. You may not want to cook with it at high temperatures, though. While it appears to be more stable than other vegetable oils, all oils break down and lose their nutrients and flavor when cooked on high heat. Plus, the oxidation that happens during cooking may actually create compounds that attack healthy tissues in the body. For cooking at extremely high temperatures, it may be advisable to use a more stable fat that’s a shorter chain fatty acid, like coconut oil or avocado oil. So, instead of cooking olive oil and losing the health benefits, pour yourself a little shot to get your day started. Bottoms up! 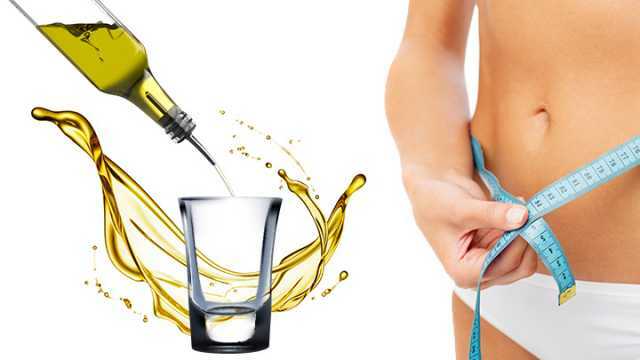 Hey Buddy!, I found this information for you: "6 Benefits Of Taking A Shot Of Olive Oil In The Morning". Here is the website link: https://www.thealternativedaily.com/benefits-of-olive-oil-shot-in-the-morning/. Thank you.